I remember watching a documentary about this subject a really long time ago and being completely traumatized, angry and shocked! This is why the moment I saw this campaign I didn’t hesitate in becoming part of it, I hope you guys do as well, because I mean can you imagine someone else gets to take away what belongs to you? Not cool. Amref Health is a non-governmental organisation founded and based in Africa with over 60 years’ experience in health development. Please note that Amref Health Africa is called Amref Flying Doctors in Austria, France, Monaco, the Netherlands and Sweden. Every girl wants to become the woman of her dreams. To live life to its full potential. That is no difference in Africa. Please join us in celebrating the power of women all over the world, for Africa. Female Genital Mutilation/Cutting FGM/C, also known as Female Genital Mutilation/Cutting, is the partial or total removal of the female external genitalia for non-medical reasons. Globally more than 200 million girls and women across 30 countries have been circumcised. In Africa, 3 million girls face the risk of female genital cutting every year. FGM/C is observed as an important cultural tradition and for some a rite of passage from girlhood to womanhood. FGM/C is extremely painful, physically as well as mentally. It also enforces school dropout, teenage pregnancies and early marriage. 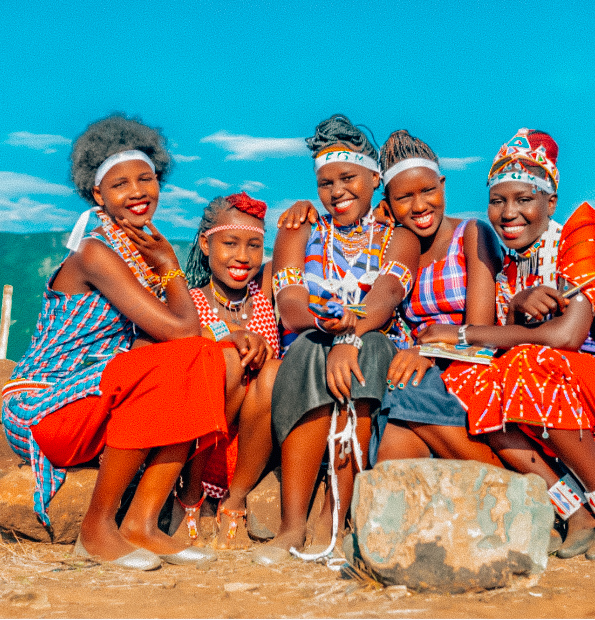 Amref’s approach Amref Health Africa, it is committed to a future without Female Genital Cutting. Therefore the organisation has successfully introduced alternative rituals together with the local nomadic population in Kenya and Tanzania. The Alternative Rite of Passage (ARP) is a community-led cultural alternative to circumcision that seeks to retain the harmless cultural rituals and celebrations around womanhood while removing the harmful cut for girls. The new ritual combines the traditional ceremony with sexual and reproductive health education and the promotion of girls’ education. To this date, more than 16,000 girls in Kenya and Tanzania have been saved from the cut through the Alternative Rite of Passage. These 16,000 girls will have a brighter future: they’ll continue going to school, will marry at a later age and will get children at a later age. They now have the opportunity to become to woman of their dreams. Female Genital Mutilation is extremely painful, physically as well as mentally. It is devastating for the health, rights and chances of young women and girls. On International Zero Tolerance Day for Female Genital Mutilation we ask for your commitment. Let’s say NO to Female Genital Mutilation. No More Pain! Because we all have a role to play to end FGM/C by 2030! Admito que no soy amante al maquillaje, pero si sabía sobre la línea de cosméticos Bobbi Brown, un poco difícil no saber sobre esta marca y aunque Bobbi ya no está con la compañía, eso no la ha detenido y se ha embarcado en la misión de crear otras marcas. Tuve la oportunidad de conocer a Bobbi en un evento donde se iba a grabar un podcast con ella y otras empresarias, y la verdad es que escuchar a Bobbi hablar no solo es inspirador sino también muy real, Bobbi te hace sentir como que todo es posible! Soy una empresaria en serie. Fundé Bobby Brown cosmetics, soy maquilista y autora. Recientemente lancé una compañía de estilo de vida llamada Beauty Evolution. Me gradué de la Universidad Emerson con un título en maquillaje teatral. Luego de graduarme me trasladé a New York, donde ofrecía mi tiempo como voluntaria en cada sesión fotográfica y con cada fotógrafo que pude, hasta que finalmente me hice un nombre y lancé mi línea de cosméticos Bobbi Brown en el 1991. En el 1995 se la vendí a la compañía Esteé Lauder, donde permanecí como directora de cumplimiento por mas de 25 años (CCO). Lancé mis primeros 10 labiales en Bergdorf Goodman en el 1991. Hicimos 100, pensando que íbamos a venderlos en un mes y terminamos vendiéndolos en un día. Mi nueva compañía la lancé hace un año. Mi carrera siempre está evolucionando y no tengo planes de detenerme por ahora. Tengo un sentido de la curiosidad insaciable. Amo aprender, crear e inspirar. Mi estilo es muy simple, me siento mas cómoda cuando estoy en jeans o pantalones negros, un camisa y zapatillas deportivas. Cuando necesito agregar algo de color, me envuelvo en una pashmina o un par de aretes. 6:30 – 7:00 A.M, lo primero que hago cuando me levanto es leer “The Post” y mirar mi Instagram mientras me tomo mi café. 7:00 – 8:30 a.m. Me ejercito, ya sea caminando, montando bicicleta o con mi entrenador. 8:30 – 9:30 a.m. Me ducho y me alisto para el día. 9:30 a.m. – 1:30 p.m. Comienzo mi día de trabajo con una reunión de equipo, seguida de muchas otras. He lanzado tres marcas en los últimos tres meses, incluyendo Justbobbi.com, el hotel George en Montclair, NJ y Evolution_18. Sino almuerzo con mi equipo en la oficina, es porque tengo reuniones de negocios en New York. 1:30 – 5:00 PM, mis tardes consisten, en sesiones de fotos conmigo frente o detrás de la cámara, o de oradora. 5:00 – 7:00 PM, siempre intento terminar mi día cenando con mi esposo e hijos (si están disponibles). Mí familia es muy importante para mí. Tengo como prioridad balancear mi vida profesional y personal. I felt so identified with this article that I had to share it with all of you. For years I have been practicing the art of eating better and working out, except for a period of time around 2012-2014 where after endless visits to doctors trying to find out the reason why I was gaining the outrageous amount of 7 pounds per month, losing my hair, depressed, etc I was diagnosed with Hypothyroidism not longer after I moved to New York (like this city is not hard enough as it is, add this to the list! Ugh). For years I tried different methods to lose the pounds I gained, personal trainers, diets, bootcamp, programs, etc nothing worked, I entered a few forums with people with this disease and that pretty much killed my hopes to ever look good again but the drive and strength that we millennials, have allowed me to keep trying and trying, until I found a lifestyle that works for me, a limited one I have to admit, but better that, than being miserable and avoiding mirrors. When I was doing my research about how to start a blog and what people were really interested in seeing and one of my friends sharply answered "pretty people" and specifically from her I wouldn't expected that answer, but she was right and I am still dealing with this virtual reality. This search for beauty and need to look good to feel good, I thought it was because of how social media has impacted our lives and constantly triggering us with these absorbent beauty out there. But this impulse to fix what wasn't good in earlier generations and find creative solutions to make possible to lead a better life comes from within, and Molly Young describes it in the following paragraphs. In a word: Hell, yeah! Never has been a group of people so committed to eating healthier, working out harder, or looking better. Molly Young asks her generation: What's so wrong with ordering that second margarita? Tuesday, 8 p.m., at a bar in Soho on a warm presumer day. I had plans to meet a colleague for drinks after work. After work-drinks, in my experience, are circumscribed ritual: Each person orders one cocktail over the course of a polite hour, or maybe two glasses of wine just enough alcohol to make conversation slightly more fun but not enough for either party to say or do anything remotely compromising. Te colleague, whom I'll call Emma, arrived already sipping from a bottle of moss-colored celery-kale juice with the price sticker ($10.99) still attached. "Are you on a cleanse?" I asked, because the whole point of toting around a bottle of green juice is for people to ask whether you are on a cleanse and then for you to grimace and say, "Yes, and I'm dying." "God, no," Emma said, laughing. "I'm not drinking." Of course Emma is 29 and wears sunscreen every day. She is not gluten-intolerant but avoids it anyway, just to be safe. She cycles through a wardrobe of luxury athleisure gear that I would value at roughly $5,000 on the basis of the instragram photos in which she wears these items to branded fitness classes. I'm certain she's had preventive Botox. I'm pretty sure she's had subtle lip injections. The idea that she would drink on a weeknight was, to her, literally laughable. Emma may be a particularly privileged case- Botox isn't cheap- but she is not unusual in her preference for juice and HIIT sessions over drinks and social cigarettes. Millennials are obsessed with "wellness": We exercise more, smoke less, and eat healthier than previous generations. Companies like Twitter and Facebook attract young workers with perks like on-site acupuncture and farmer's markets, and households headed by millennial parents are the top purchasers of organic groceries. We're on track to be the glowiest cohort of all time. Still, I put "wellness" in quotes because I'm not entirely sure there's agreement on what that word mean, despite the fact that I, a confirmed millennial, have two meditation apps on my phone and consume more greenery than most herbivorous mammals and haven't had a glass of cow-derived milk in half a decade. (I can't prove that my generation is responsible for getting Starbucks to offer almond milk nationwide, but I have string suspicion about it.) Wellness, after all meant something entirely different 40 years ago. Young people in the 1960's knew that cigarettes were bad, but they didn't know how bad. Drugstore foundation did not come with SPF. You couldn't buy tooth-whitening strips on Amazon. There weren't thousands of Youtube tutorials on Pilates arms and barre butts available for free at the tap of a finger. People basted themselves in mineral oil-based solutions and laid out in the sun as a recreational activity, heedless of the (dermatologically catastrophic) consequences. These days, our knowledge base immense, and our self-beautification possibilities are endless. "Young patiences are very concerned with preventive methods," says Melissa Doft, a plastic surgeon and clinical assistant professor of surgery at Weill Cornell Medical College, who treats some of New York City's sparkliest specimens. "They always question what they can do to help delay aging and protect themselves. my first recommendation is to always wear sun protection and never start smoking." As Dorf's advices suggests, it can be hard to tell the difference between our pursuit of health foe its own sake and the pursuit of health for beauty enhancing purposes. "Stay out of the sun and don't smoke" is irreproachable as medical advice, but it's also the credo of every crow's-feet-fearing woman I know. Our shopping habits bear this out- 40 percent of millennials either currently use wrinkle creams or plan to start using them soon. Whatever the underlying motivations, I can't help but wonder whether this wellness obsession signals a shift in social values. In 10 or 20 years, will we look back on our youth with virtuous approval rather than than rueful romance? Are we quicker to embrace health than fun these days? And if so, why? "I think that image preservation has a lot to do with millennials' coming into the job market in the recession and being very concerned about presenting the right image to employers," says Twenge. She also acknowledges that our obsession with exerting self-control could be a reaction to the economic and cultural instability simmering around us: "Millennials" have very, very high expectations for jobs and education, yet reality has not really gotten any easier." In response, we make decisions where we can, dutifully applying sunscreen and eating our vegetables. This risk aversion leads to unquestionably good behaviors, yes, but also to ones that oddly conservative or limiting. The point of making mistakes, after all, is that you learn from them. You become a more complicated and empathetic person, a person whose imperfections and blunders give way to a nuanced perspective on all the facets of living. I'm not sure it's possible for anyone to choreograph her life to become that person; it either happens or it doesn't. 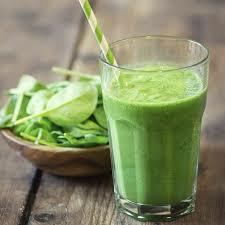 I'm equally certain that green juice doesn't help. AND LIKE MY LAST TEACHER SAID OUR GENERATION IS NOT LOOKING TO BUY HOUSES AND START TRAVELING WHEN WE GET OLD AND RETIRED. WE WANT TO LIVE NOW, TRAVEL NOW AND LOOK GOOD NOW! A while back a person with patience and a lot of explaining dedicated itself to change a little bit the perception I had about Muslim women and made me open my eyes to how the new generations are evolving in a positive way just like us. The fascination and curiosity awoke in me led me to take a plane to Dubai and write in a few occasions about the subject. As part of my research, I chose to attend to a fashion week organized by Muslims (I couldn’t miss that) and experiment on my own what I have heard and read. For me has been very rewarding to have discover that these women are just like us, not somekind of alien or victims. These women are strong very strong, brave, discipline, passionate, loving, ambitious, respectful and choose a lot of them to dress in certain way out of a deep devotion and faith to their religion and beliefs, others chooses not to dress in abayas and hijabs and others more fashionistas are reinventing these costumes and creating looks worthy of being imitated. This fascination, curiosity and discoveries led me to produce a photoshoot, WOMAN inspired by experiences I have had in a women world that was completely unknown to me and very similar to ours. Hace un tiempo una persona se dedicó con paciencia y mucha explicación a cambiar un poco la percepción que yo tenía sobre la mujer Musulmana y a abrir mis ojos ante la evolución que están experimentando las nuevas generaciones y de como estas mujeres se están destacando positivamente al igual que nosotras. La fascinación y curiosidad sobre el tema que se despertaron en mí, llegaron al punto de hacerme tomar un avión con destino a Dubai y a escribir en varias ocasiones sobre el tema. Como parte de mi investigación elegí asistir a una semana de la moda organizada por musulmanes (eso no me lo podía perder) y experimentar por mi propia cuenta lo que había escuchado y leído. Para mí ha sido muy gratificante el haber descubierto que estas mujeres son como nosotras, no extraterrestres o víctimas, sino mujeres fuertes muuyyy fuertes, valientes, disciplinadas, apasionadas, ambiciosas, que sienten, que desean, aman, respetan y ELIGEN muchas de ellas vestir de cierta forma por sus creencias, devoción y respeto a su religión, algunas eligen no vestir con abayas y hijabs y otras mas fashionistas están reinventando estas indumentarias y creando looks dignos de ser imitados. Esta fascinación, curiosidad y descubrimientos me llevaron a producir un photoshoot, WOMAN inspirado en mis experiencias alrededor en un mundo de mujeres que era completamente desconocido para mí y muy semejante al de nosotras.